Include the gift of Mediterranean health and exquisite taste in all your recipes! 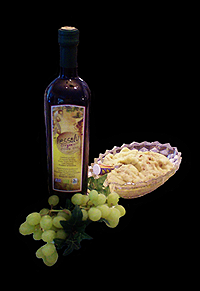 My family and friends wanted to share their favorite recipes using Thessaly Organic Olive Oil. These are just a few ideas, feel free to email us your favorite recipe using Thessaly Organic Olive Oil. Fill large salad bowl with lettuce, sliced cucumbers, onion (if desired). Top with olive oil and lemon juice. Lightly sprinkle with garlic salt, stir, add more garlic salt. Top with parmesan cheese (about 1/4 cup parmesan total, but add to taste). Makes enough for 3 ribeyes, or what can fit in a 9x13 pan. Drizzle about 4 tablespoons olive oil in the bottom of 9x13 pan (so it just covers the bottom). Drizzle about 1/2 cup soy sauce and congeal with a fork. Place steaks in pan sprinkle approx 1 tsp garlic powder over each steak. 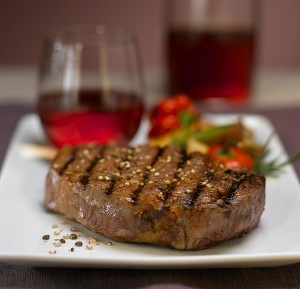 Wait about 15 minutes, turn steaks over, sprinkle another 1 tsp garlic powder over each steak. Wait another 15 minutes then throw on the hot grill!! Fry the fresh onions, chopped, in a bit of olive oil. Once they are golden brown, add the fresh, washed, spinach, together with the parsley. If you like, you can add a chopped carrot as well. Stir everything around, until vegetables set a bit. 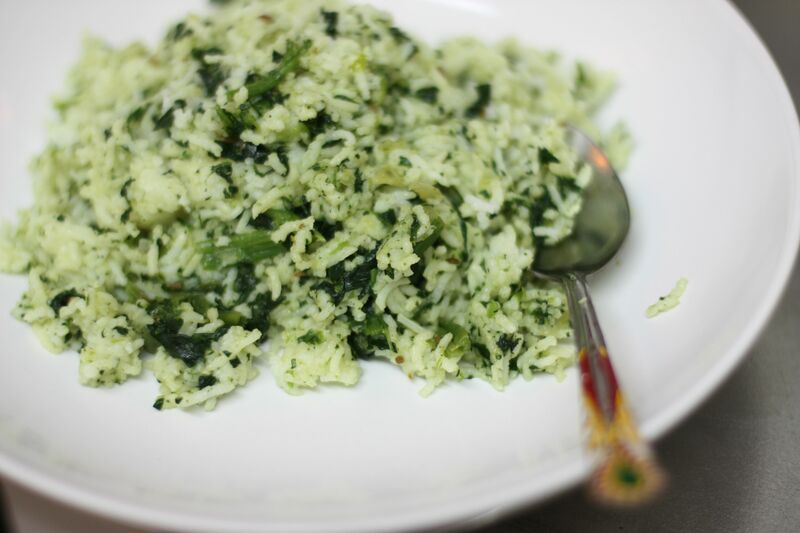 Then add the rice and water, bring it all to a boil, let it simmer until the rice is done and the water is evaporated. Serve with fresh lemon juice squeezed over it, according to your likings. 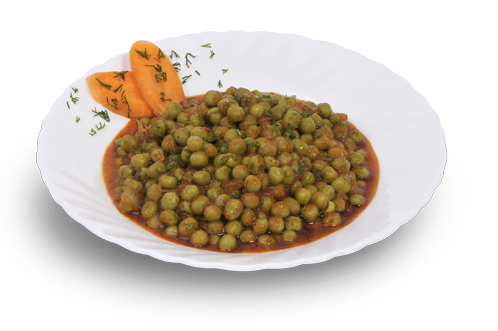 It would be advisable to execute this recipe in a pressure cooker pan, like that you save time and vitamins. Enjoy! Sauté onions and garlic in olive oil over low heat for 15 minutes. When garlic and onions are almost finished (onions are soft and flavored), add chopped basil. Stir and remove from heat. Mix this sauce with drained pasta and serve hot with salt, pepper. 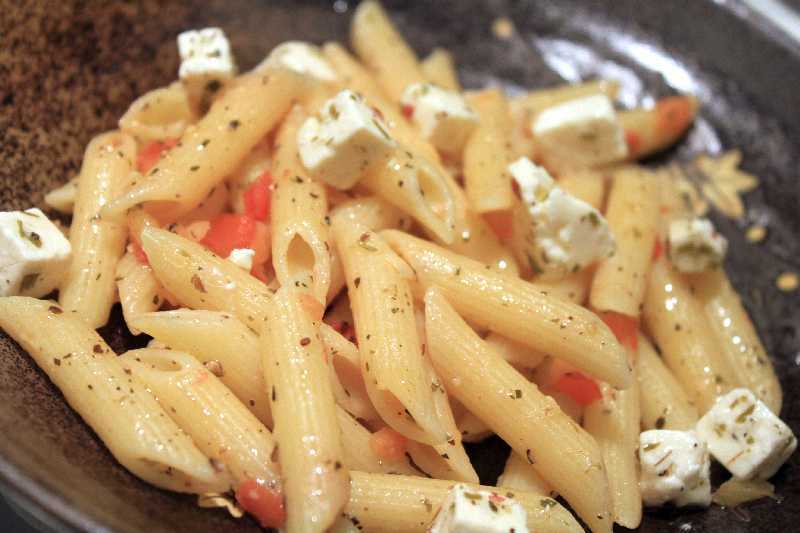 You can also toss in your favorites - tomatoes, olives, feta, mozzarella, grated parmesan. This is great served with some warm, crusty bread. In a large saucepan sauté the onions in olive oil on medium heat until well browned (not burnt!) about 30-40 minutes. Add the sugar about 10 minutes into the process. Once browned, add the garlic and sauté for 1 or 2 minutes. Add stock and bay leaf then cover and simmer about 30 minutes. 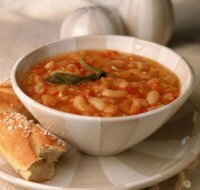 Pour soup into individual bowls, add a slice of bread on top then sprinkle with mozzarella or whatever cheese you prefer. Place in the oven until the cheese is slightly browned. Yummy! Fill half a large pot with water and boil. Add frozen peas. Continue to boil on for about 20 minutes. Add 1 cube of bouillon, oregano and tomato juice. Add sliced sausage if desired. Mix. Continue to boil for another 40 minutes. Add olive oil and second bouillon cube. Add salt, pepper and more oregano if you wish. Mix again and keep warm for a few minutes, letting the food absorb the additional ingredients. The oil should have given the red sauce a thicker consistency. If the sauce is too watery, add more oil until the mixture reaches desired consistency. Keep the food warm until you're ready to eat. Serve with feta cheese and brown bread. On one of my trips to visit my Greek family, we spent several weeks touring the countryside. Upon returning to my daughter’s home, I was tired of eating restaurant food. Her Mother-in-law had prepared Chickpea Soup, and it was the most heavenly food I had eaten in weeks. If you are looking for comfort food—THIS IS IT! Soak a package of dried chickpeas overnight. Drain the water and cover with fresh water. Bring to a boil and scoop off the foam with a wooden spoon-NOT METAL. Add the onions and olive oil and boil until the peas are tender—season to taste. Delicious with an Italian or French bread to dip. Optional: Squeeze fresh lemon juice in your bowl. 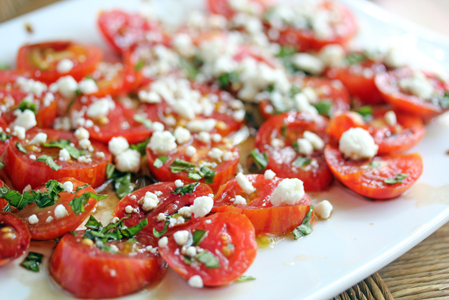 My favorite recipe with good olive oil is to slice tomatoes, arrange them on a plate, top with sea salt and julienned fresh basil, then sprinkle with olive oil. I also like feta cheese crumbled on top. Is that just an easy-peasy recipe? Does it even need a recipe? Like the way we also eat fresh bread in our house: Pour good olive oil in a small dish, add sea salt and/or balsamic vinegar. Dip bread. Eat. Repeat. In a pan over medium-low heat, add a tin of anchovies, with half of the oil drained. Add about 1/2 tablespoon minced garlic, and 1/2 teaspoon crushed red pepper. Drizzle with olive oil and stir/smash all of this until it makes a nice paste. Add either fresh tomatoes or sun-dried tomatoes, julienned fresh basil, and a few handfuls of spinach. Splash with a 1/2 cup or so of white wine. Cover, on low heat for about 5 minutes. Add already-cooked raviolis, stir, then serve. Sprinkle with shredded, salty cheese of your choice. The following recipes are from my Greek mother-in-law, so I’m hoping I’ve translated the amounts, pan sizes and cooking times correctly. But if you manage them, they are easy and are everyday, staple meals in Greece. Add beans to approx. 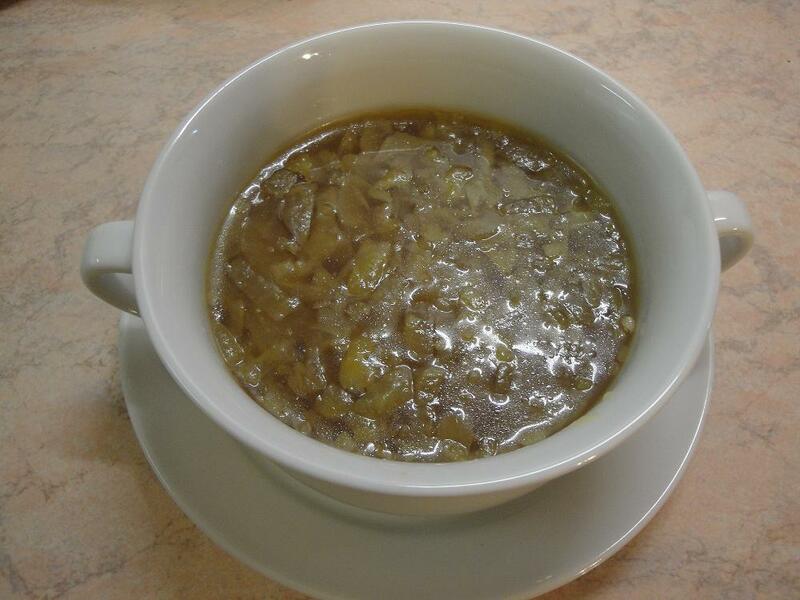 2-2 ½ kg (8-9 cups) water in a large saucepan. When the water starts to boil add the olive oil, onions, carrots, celery. Boil until beans are soft, approx. 1 ½ hours. Toward the end add tomato paste and salt/pepper to taste. Sauté the onion in the olive oil in a medium saucepan, then add the green beans, a few sprigs of parsley, tomato paste and salt/pepper. Add enough water to cover the beans. Bring to a boil, lower temperature and simmer for approximately one hour or until the sauce thickens. This dish is served as a main meal with fresh bread to scoop up the sauce. Mix in a bowl – zucchini, potatoes, parsley, salt, pepper. Spread this mixture in a roaster pan. Next, sauté the onions with a little oil. Once sautéed add salt/pepper, tomato paste and a little water (approx. ½ cup). Spread the onion mixture on top of the potato mixture and pour the cup of olive oil on top of the entire mixture with more salt/pepper to taste. Pour 2-2 ½ cups of water over the top. Bake at 200’ C (400’F) for approximately 1 hour or until the water has soaked with the oil leaving a sauce. 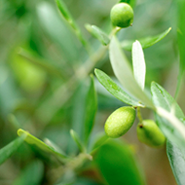 The following recipes are from our Thessaly Organic Olive Oil tasting party! Combine tomatoes, mozzarella and cucumber. Add pesto and olive oil. Mix thoroughly. Allow to marinate approximately 2 hours before serving. Combine seasoning and olive oil on a plate. Top with Parmesan and serve with crusty baguettes or Italian bread for dipping. Combine all ingredients in a food processor or blender to make a thick dip. This is a large recipe and can be halved. Preheat oven to 350F. Butter a 10-inch cake pan. In a large bowl, whisk the eggs, sugar, olive oil, milk, liqueur, orange juice and zest. Sift together the flour, soda, baking powder and salt until well-blended. Whisk all together until well blended. Fold in the almonds. Pour into the buttered cake pan. Bake for one hour. Place on a rack to cool. Run a knife around the edges and place it on a serving plate. Sprinkle with powdered sugar and serve. Prepare rotini according to package directions, then rinse with cold water. Combine all ingredients and dressing (see recipe below) with rotini in a large bowl and mix thoroughly. Chill overnight before serving. Combine basil and nuts, pulse in processor. Add garlic, pulse again. Slowly add the oil, then cheese until blended. Salt and pepper to taste. Peel and mash garlic to a paste. Add the potatoes, then mash together. Add vinegar, then dribble in the olive oil, mixing constantly. Salt to taste. 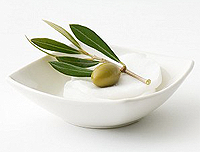 Serve garnished with olives. Preheat oven to 400F. Combine all ingredients in a bowl and toss well. Place pecans in a single layer on a cookie sheet and roast eight minutes. Beat eggs and sugar. Add fig and oil. In a separate bowl combine flour, baking soda, salt and cinnamin, then add to fig mixture. Finally, slowly stir in the buttermilk. Pour into a greased bread pan and cook for 1 hour at 350F. It can be used as a shaving lubricant or an after-shave balm. For dry or damaged hair, work a few tablespoons from root to scalp then wrap in saran wrap or place a shower cap over it for 30 minutes to an hour, then shampoo off. It shampoos off easily if you shampoo twice and does not look greasy. Or after a shower rub a little on the ends of your hair to help detangle and combat frizz. Mix one part lemon juice with 3 parts olive oil to polish wood furniture. Or place some olive oil directly on a cloth for dusting wood furniture. Add a little bit to your cat’s food to help with hairballs and promote shiny fur. Not to take away from WD-40, but just about anywhere you would use that for a lubricant you can use the safe, natural source of olive oil….zippers, door hinges, bike wheels.